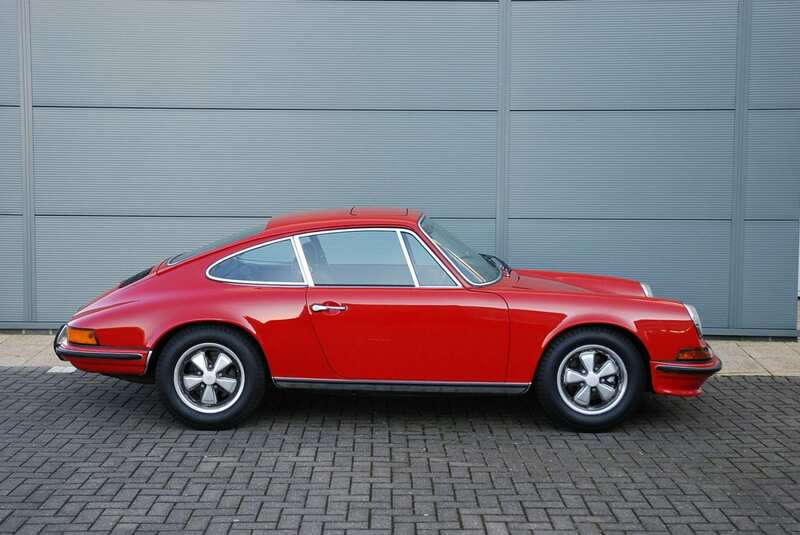 1973 Porsche 911E Coupe LHD – Chassis number 9113201037, Engine number 6231608 (numbers match) registered April 1973 and delivered via Porsche dealer Sonauto, Paris to its first owner. 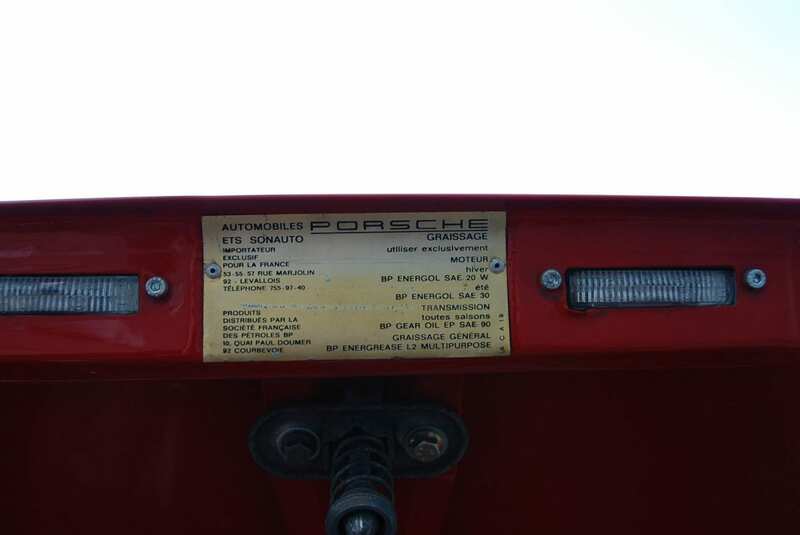 Complete with Porsche Certificate of Authenticity that confirms all details are correct. 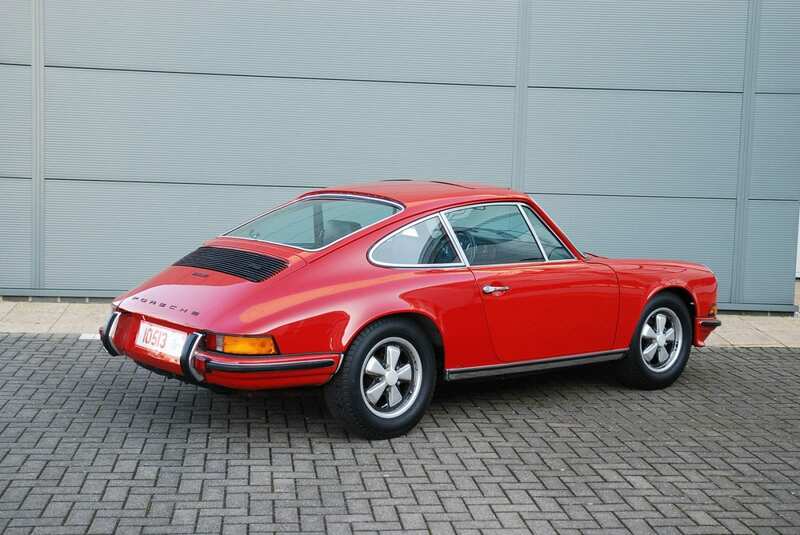 It also benefits from the ‘7R’ engine cases, rare to find on a 2.4, as used on the 2.7RS models. 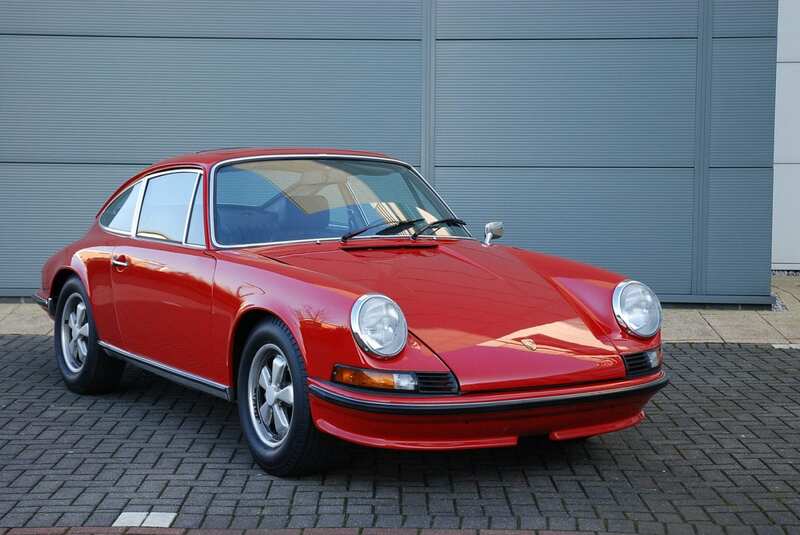 Subject to a restoration in 2002, the vehicle retains its original parts, thus keeping the DNA intact . 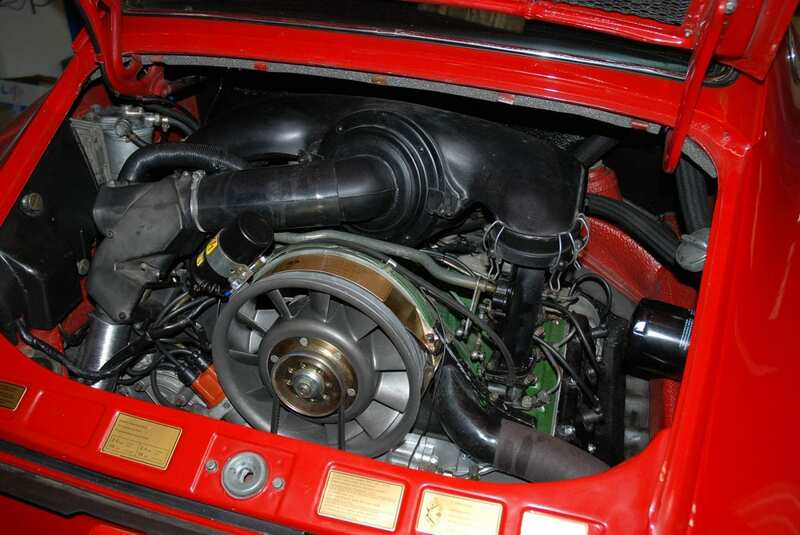 The wheels all matching date stamped , the engine cases are the rare 7R version which were the stronger case used in the late 2.4E production, numbers match engine, all original intake system includes the correct 014 MFI pump, intake stacks and all other period correct parts. 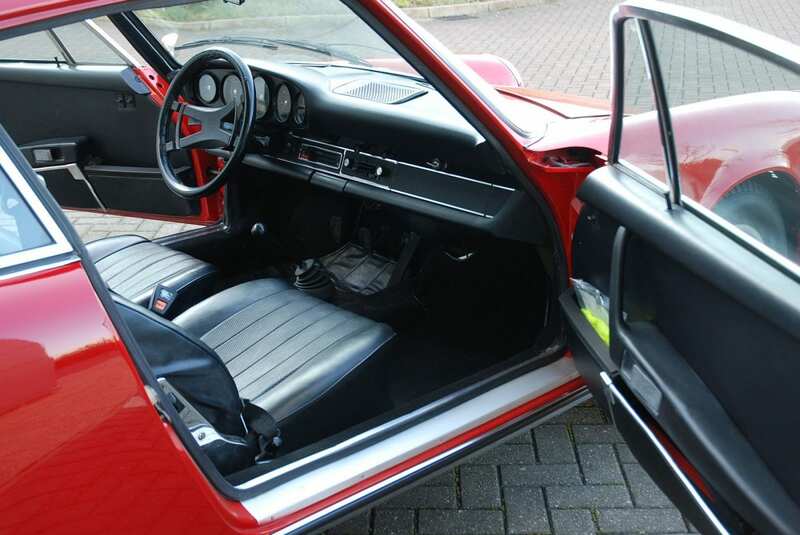 The interior (non original carpets), steering wheel, seats and instruments. 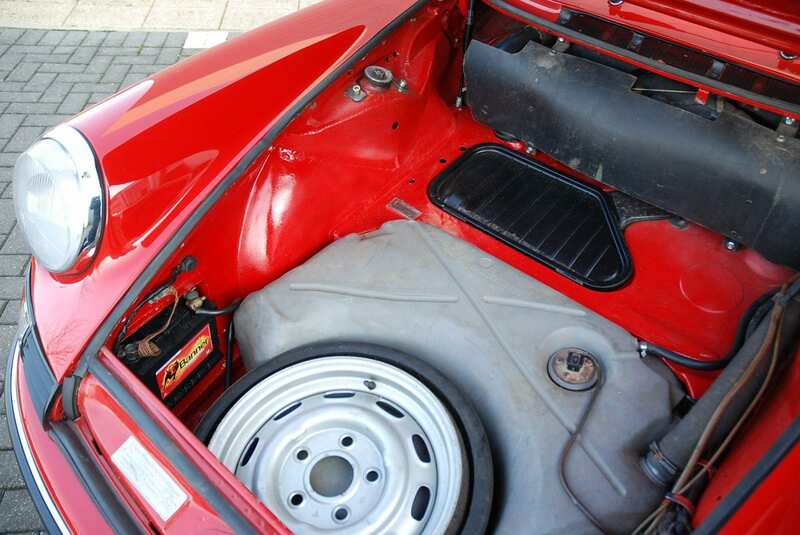 The engine benefits from a recent top-end rebuild. 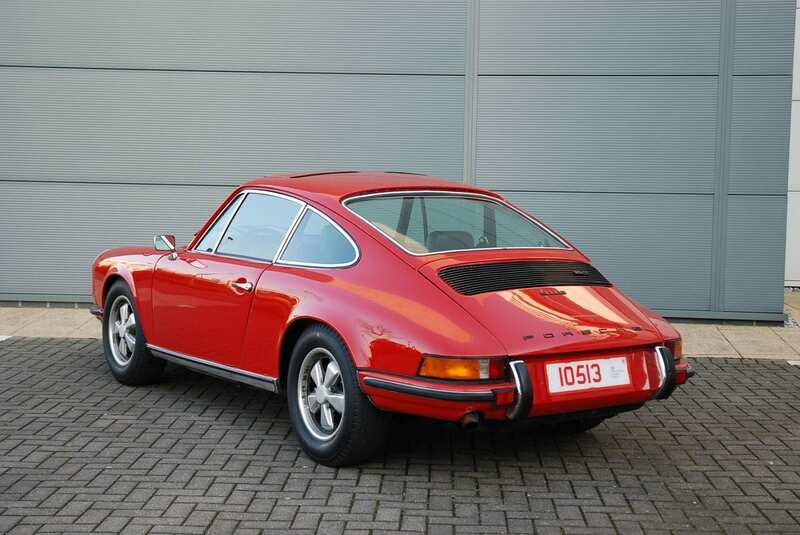 The condition and originality of this vehicle is testament to the care and attention by its former keepers. 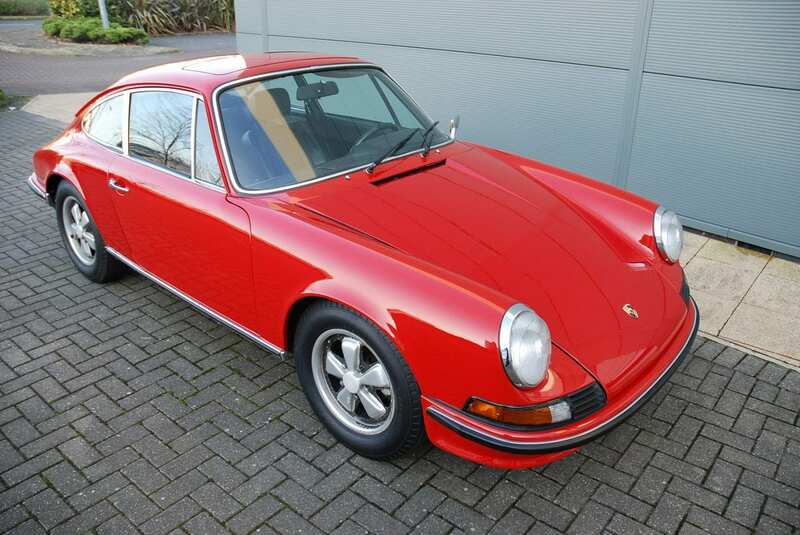 It’s rare to find such a highly original car that retains its DNA and patina that cannot be replicated when project vehicles and partly stripped vehicles are ‘restored’ for resale. The vehicle is not UK registered currently, but Tech 9 can assist with this if required. It has current MOT test, expires February 2017.